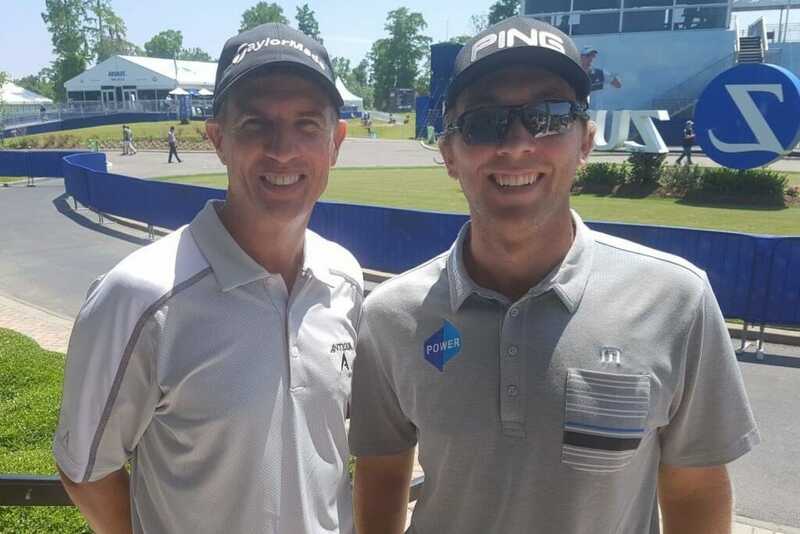 Seamus Power and his Kiwi teammate Steve Alker were like two peas in a pod dove-tailing superbly for a two-under par 7O in the alternate shot format on day one of the Zurich Classic in New Orleans. The unlikely pairing, but long-time good friends, were three-under par through 16 holes before Alker found a fairway bunker and Power managed to advance the ball 9O-yards before Alker found the green and with the pair two-putting from some 11-feet. “We both just hung in there and made some good saves including say at 18, our ninth hole, where I put our second shot into the water but we still managed to make par”, said Power. “But for the most part you are still playing your own game though the key was that I did not really have any long putts today and Steve kept putting them close which was nice”. Alker, 45 with 1O wins in his pro career including four on the secondary Web.com Tour, said, “Seamus and I played really well and the strong part of our game that we did really well kind of making up for each other’s mistakes. So, we dove-tailed really well and that is the key in the format today”. The US/Australian duo of Kyle Stanley and 18-year old Ryan Ruffels enjoyed the clubhouse lead with a six-under par 66, one clear of the field. Ian Poulter and Aussie Geoff Ogilvy, who met for a first time in the final round of the 2006 US Open that Ogivly won, are also well placed at three-under par. “I can promise you the subjects of cricket and rugby were not mentioned once,” he said smiling. Though Ogilvy mentioned Poulter’s desire in continuing to secure full PGA Tour status is motivating both on them onto hopeful victory. However, the Rio Olympic Games Gold and Silver medal winning Justin Rose and Henrik Stenson struggled in combining for a 72.